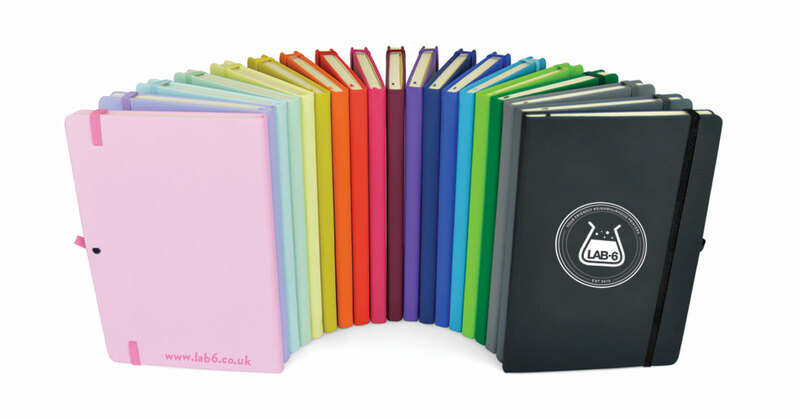 Our branded PU notebooks are perfect for businesses to give to employees, for charities to sell or for giveaways. We stock 15 gorgeous colours & they are filled with 80 sheets of 90GSM lined paper, elastic strap, a pocket in the rear & 950GSM soft cover. If you want to see a digital mockup of how your notebooks could look with your branding on just send us your logo & requirements and we will get back to you with a design. We offer great bulk discounts & fast turnaround on our notebooks. Minimum order is 25 books.